“Philosophy of Education” or “Education Foundations” is not regularly offered as a core course in most B. Ed. Programs today. The eradication of Philosophy of Education from Teacher’s Colleges stems, in part, from a lack of vision, courage, and understanding among the elites who develop such professional programs on the one hand, but also from a general impatience with Philosophy of Education among the tuition-paying “clientele” who attend Teacher’s Colleges to earn their teaching certifications and obtain well-paying teaching positions. Such students are almost invariably focused on whatever is the most efficient means of gaining employment, of developing career “competence” and career success. They ordinarily come to Education Programs demanding a “toolbox” of teaching ideas, solutions, techniques, and approaches. Students of the present day, demand diagnostic checklists and manuals that they think will unlock for them the ostensible secrets of how to be good teachers and assessors. They expect to leave their Teacher’s Colleges with all the requisite knowledge, skills, attributes, and competencies. And, of course, they want all of this to happen within two years, if they have a first degree! Philosophy of Education is not really concerned with such things, however, and for many students it does not seem to relate to their career imperatives. Certainly, shrewd Philosophy of Education course designers and book developers will always try to make it appear as though philosophy serves these lesser concerns, but this approach is disingenuous and misleading, since it tends to sideline what philosophy (as the practice “loving wisdom”) truly is. For instance, in postsecondary institutions where Philosophy of Education has not yet been entirely eliminated from study, it is not uncommon to organize student learning by adopting one of two approaches: first, a Philosophy of Education instructor might opt to organize her course as a broad survey in the “History of Educational Philosophy” using a textbook like Nel Noddings’ popular Philosophy of Education (Westview Press, 2012); second, an alternate to this survey-based approach is an issues-based design where student-teachers will read a problem-themed textbook like Richard Bailey’s edited compilation, The Philosophy of Education: An Introduction (Continuum, 2010). In either case, it is not difficult to link excerpted readings and formal academic work to specific B. Ed. Program knowledge goals or “outcomes”, as well as to broader, stipulated “competencies”. In either case, the spirit of philosophy and philosophizing is not placed at the center of course design, and so the precious opportunity to have student-teachers genuinely experiment with wisdom-seeking is sadly lost. Moreover, these two contemporary approaches to Philosophy of Education in B. Ed. Programs do not necessarily even protect such courses from the chopping block. First, the “pay-off” for students who must enroll in such courses seems negligible to them, and they are often vocal about this in negative and derisive course evaluations, which more and more land crushingly upon the heads of untenured, term-contract instructors. Second, the value of such courses is equally unconvincing to decision-making elites who are concerned, after all, with the students’ acquisition of professional teacher “competencies” as stipulated by the teaching standards. Philosophy of Education or Education Foundations strikes them as suspiciously inept and passé in regard to practical accomplishments. For on the one hand, Philosophy of Education is unconcerned with the technical delivery of curriculum design skills, or knowledge in the “nuts and bolts” of daily lesson planning; it likewise eschews any associations with the diagnostic, “toolbox” aspects of teacher preparation. On the other hand, Philosophy of Education also seems less competent to provide any of the goods that one might cultivate efficiently, simply by fragmenting the B. Ed. curriculum into a broad variety of specialized courses that provide diverse lenses through which to study complex educational phenomena. At present in Canada, such courses include: educational leadership, educational psychology, educational technology, literacy, numeracy, special education, English Language Learning (ELL previously, English as a Second Language), STEM (Science, Technology, Engineering, and Mathematics), curriculum, educational assessment, LGBTQ (Lesbian, Gay, Bisexual, Transsexual and Queer education), and FNMI (First Nations Metis and Indigenous education), to name only a few. Really, apart from the lip-service paid to “philosophy” at the end of their degrees when all student-teachers must craft a so-called “philosophy of teaching” statement that they might use for job applications, Philosophy of Education is altogether crowded out in B. Ed. programming. Teacher Education nowadays supposes that the genuine heart of education is concerned with the demonstration of career “competencies.” Philosophy of Education, properly understood, makes no such assumption. There is a disconnect between competency-based education and a deeper form of education that concerns itself with wisdom-seeking, or philosophy. In my home province of Alberta, Canada, for instance, all B. Ed. students must, by Ministerial Order #016/97, demonstrate their competence in relation to a broad array of “interim” indicators for requisite Knowledge, Skills, and Attributes (KSA’s); likewise, professional teachers must meet an equally extensive number of KSA benchmarks in order to gain “permanent” certification within the province. This “outcome”-based teacher-assessment arrangement is currently being updated so that, very shortly, the long list of twenty-eight KSA’s enumerated in the 1997 Ministerial Order will be reduced to a total of six over-arching “competencies”. As of March 2016, the Alberta Government’s draft Teaching Quality Standard (TQS) lists these as follows: (i) Engaging in Career-Long Learning, (ii) Demonstrating a Professional Body of Knowledge, (iii) Fostering Effective Relationships, (iv) Establishing Inclusive Learning Environments, (v) Applying Foundational Knowledge about First Nations, Metis, and Inuit, and (vi) Adhering to Legal Frameworks and Policies” (Government of Alberta 2016). So, what’s the difference between the previous KSA/outcomes-based system and the new competencies-based one? For starters, it is important to note that there is no singular definition of “competency” in the literature, perhaps because there are a wide variety of “stakeholders” in education who view competency in many different ways (Hoffmann 1999). Nonetheless, in Alberta, the proposed new TQS document defines a competency as “an interrelated set of knowledge, skills and attitudes, developed over time and drawn upon and applied to a particular teaching context in order to support optimum student learning as required by the Teaching Quality Standard statement” (Government of Alberta 2016). In this example, we see how the definition of competency is relativized to suit the specific educational concerns of the accrediting administrative body. For a simpler perspective about competencies, however, we might turn to an international source for a definition that is offered by the National Postsecondary Education Cooperative Working Group on Competency-Based Initiatives in Postsecondary Education (NPEC). They define competency as “the combination of skills, abilities, and knowledge needed to perform a specific task” (Jones & Voorhees, 2002, p. 7). In the NPEC Report, Jones and Voorhees remark that competencies are the result of “integrative learning experiences in which skills, abilities, and knowledge interact to form bundles that have currency in relation to tasks for which they are assembled” (p. 7). At the heart of ideas about competence, then, is the acknowledgment that in assessing professional competencies, the ability to perform specific tasks is pivotal (Drisko, 2014, p. 416). As assessable, task-related, external behaviors, competencies should always concern “a dimension of behavior that is relevant to performance in the job.” As Charles Woodruffe (1993) remarks, “Competencies are behavioral repertoires that some people carry out better than others.” In his view, it is these behavioral dimensions that should be the focus of job analyses (p. 29). These definitions (Drisko, 2014; Jones and Voorhees, 2002; Woodruffe, 1993), establishing the foundations of the competencies movement worldwide, rest upon the notion of education as a means towards job or career qualification. Naturally enough, competencies within different job contexts require different bundles or clusters of skills and knowledge. It is precisely this “bundling” and “unbundling” that drives competency-based initiatives among postsecondary institutions at this century. The challenge from the perspective of those within the competency-based education movement, “is to determine which competencies can be bundled together to provide which types of learners the optimal combination of skills and knowledge needed to perform a specific task” (Jones & Voorhees, 2002, p. 9). Essentially, then, the competencies model takes away some of the professional flexibility available to assessors under the older KSA system, who might have chosen to look for knowledge, skills, and attributes in alternative bundlings that are perhaps not recognized as legitimate or optimal by elite managerial, administrative, or governing bodies. As we shall see, this focus upon the assessment of career competencies in B. Ed. Programs is animated by an anti-philosophic spirit. John Burgoyne (1993) wrote an insightful critique of the drive towards competency-based education. In his view, the general thrust of the competency movement is “that the purposes of development can and should be more tightly defined in relation to work to ensure its relevance and to provide a focus for the efficient management of learning” (Burgoyne, 1993, p. 6). Having carefully studied its historical context, Burgoyne’s suspicions were raised, wherein he stated that “it is tempting to interpret the competence movement as a return to a concern for control in society and to be part of a broader pattern” (Burgoyne, p. 6). Certainly, there is something in the drive towards pre-fabricated, assessment-ready “bundlings” that smacks of narrowed educational horizons and possibilities. As Burgoyne observed, the competency-focused paradigm of education “seeks to impose an overly simple model on the complexity of the occupational, organizational, training, education and development world, given the range of issues which are involved in its theory and practice” (1993, p. 7). Concerning this reductionist view of postsecondary education as a matter of job accreditation, other scholars who have studied the competency movement have likewise written that “Postsecondary education has become progressively responsive to the needs of business and industry, where learning is closely tied to competencies and performance-based assessment of those competencies” (Baughman, 2012, p. 25; Gardner, 2009). Indeed, since the 1990s, “competencies have become code words for the human resources and strategic management practices of recruiting, selecting, placing, leading, and training employees and evaluating employee performance” (Baughman, Brumm, & Mickelson, 2012, p. 116). Much more can be said about the constricted, managerial view of teachers strictly as education workers and career professionals. Of particular note is how this view of education marks such a departure from 2500 years of educational understanding and tradition, wherein higher education was always, in some fashion, related to a genuinely “liberal education”. Whether we are speaking of its ancient Pythagorean roots, whether we refer to the classical trivium of grammar, rhetoric, and dialectics, alongside the quadrivium of arithmetic, music, geometry, and astronomy, or whether we consider its more modern iterations, liberal education has always concerned liberating the human spirit from itself – that is, from its own egoistic concerns, from all of its fixations extraneous to study, including petty cares about utility, productivity, assessments and evaluations, and career application. Liberal education, classically-understood, has always been a kind of transformative enterprise designed to elevate and challenge the mind, and to emancipate the spirit from the chains otherwise imposed upon it by those demanding “relevance, accountability, and competence” in all things related to a workaday existence. If we look to the silences and what has been left out in B. Ed. Programs where competency-based course designs reign supreme, we will happily stumble upon the lost, forgotten, and most precious meanings of both philosophy and teaching. In the present day, instructors have adopted the mandated, hegemonic paradigm for relevance that has been successfully promulgated by elites in the competency movement. By resigning themselves to the cultivation and demonstration of career competencies in order to remain viable minor components in B.Ed. Programs, instructors who teach courses in “Philosophy of Education” or “Education Foundations” have done much to undermine and eradicate the precious contribution that wisdom-seeking practices might otherwise make in the lives of teachers and students. Simply put: they have mis-portrayed the central meaning and identity of philosophy by treating it as though it were meant to be a handmaiden for banausic competencies. They have likewise adopted a second falsehood that is fundamental to the competency movement itself: namely, they have swallowed the assumption that teaching is just a professional career or job like any other. Both of these impressions are gravely mistaken, and they threaten to tear out the precious heart of both teaching and Education Philosophy. But all is not lost. There is a third way. This happy alternative mode of designing instruction incorporating authentic Philosophy of Education at the center is the subject of the remainder of this article. The pedagogical approaches which marginalize transformative intellectual activity in favor of competency acquisition as discussed above are not the only avenues for locating Philosophy of Education in preservice teacher preparation. There is a third, ancient way that has mostly been lost, but that is intimately associated with the original meaning of philosophy, as well as with the deep heart of teaching practice. The third way of approaching philosophy has been referenced and promoted by a number of excellent scholars including Pierre Hadot (1995; 2002), Algis Uzdavinys (2004; 2008; 2011), Josef Pieper (1992; 1998; 2008), and Peter Kingsley (1995; 1998; 2003), to name only a few. My advocacy for this third way of approaching philosophizing with students is therefore certainly not novel or without a credible pedigree. Indeed, if there is anything innovative in my following discussion, it is not that I have taken up this lost, core meaning of philosophy, but that I have endeavored to do so in the context of a professional B. Ed. degree program dominated by concerns with competency-based assessment. Let us commence thinking about this third way by inquiring briefly into the ancient Greek meaning of philosophy as “the love of wisdom”. We begin by acknowledging that wisdom (sophia) is the greatest and most precious good. Indeed, it is that good without which no other goods can be truly enjoyed; all others are ambiguous in value. Further, we must recognize that philosophy, or the love of wisdom, is a way of life according to all of its ancient practitioners. It is not a course of study, a methodology, or a subject that you might either pick up or put aside. Having a PhD in “Philosophy” does not make you a philosopher, either. Rather, philosophy is a kind of spirit that must inhabit you on a daily, even moment-to-moment, basis. It involves the mindful cultivation of our yearning for this one Greatest Good (Summum Bonum). Its pursuit requires learning to relax ourselves from all other lesser goods, including our own egos. This is why Plato has called philosophy the “art of dying.” If what I am saying about philosophy is unclear right now, please do not be discouraged or feel threatened. It is something that calls for contemplative practice in order to be understood. Aristotle tells us in his Nicomachean Ethics that there is both an active and a contemplative component to this way of life. The contemplative aspect involves us in seeking to know the truth about what Josef Pieper calls “the totality of things” (Pieper, 1992). Philosophy is therefore a deeply spiritual practice of inquiry. It erupts from the heart of our intimately human desire to know; it activates our most sublime qualities, and it connects us with what is the most sublime aim of our knowing. We are very lucky to encounter the spirit of philosophy in our lives, and it is a shame when we make no space for it, or when we toss it aside as though it were of no account to us. But there is also, says Aristotle, an active aspect to the philosophic life. This element is manifest when we seek to know the truth about being (ousia) in concert with others: when you and I, in the spirit of wisdom-seeking, invite others to engage with us in wisdom’s pursuit, when we put our own private interests and ego concerns aside, and when we cultivate our attentiveness and our consciousness so as to be receptive towards this grand vision (theoria) of the common good (koinon) together. These two aspects of philosophy – the active and the contemplative — stand together always; as a general rule, if you are rid of the one, you are also rid of the other. Given this brief gloss on the ancient, original meaning of philosophy, in any activity worthy of the name “Philosophy,” one would therefore expect to find some leadership that renders available the possibility for those involved to experiment with or to practice opening themselves to this peculiar spirit of inquiry – and not for the purpose of attaining some number of lower, ambiguous goods enumerated among the requisite knowledge, skills, or attributes for a specific career path, nor as behavioral evidence of “competency” within a larger bundling of KSAs, but because wisdom is a good to be pursued for its own sake, and without which no amount of competencies in lower things will ever amount to much. Where the first two approaches to Philosophy of Education already discussed remain oblivious to this larger, lost meaning, this third way does not. Adopting the third approach to Philosophy of Education offers the delightful prospect of transformation to those who are willing to take up its challenge sincerely. Pierre Hadot remarks that, at its origins, philosophy always demanded that its practitioners undergo a personal transformation or askesis, and that this transformation be cultivated both through “philosophic discourses” as well as by exposure to certain “spiritual exercises”. In agreement with Hadot, my Philosophy of Education offerings include readings and exercises for B.Ed. students intended to ensure that all participants are invited to engage experimentally not only in a range of philosophic discourses, but also in an array of spiritual exercises associated with philosophy when practiced as a way of life. Obviously, certain structures need to be in place to help students enter into this experimental mood, including ways to help them be less distracted by their habitual concerns around assessment, grading, and competencies. In the ancient world, such a wisdom-seeking environment was deemed essential to facilitate leisure or schole – the Greek term from which we derive our own English word, school. Better than anyone, the ancients knew that the spiritual practice of schole must be protected from the banausic (and nowadays hegemonic) demands of those lacking any patience or understanding of its deep value. And today especially, any possibility for genuine school (or schole) needs to be preserved from interference by busybodies (polypragmosynoi) who are fond of curriculum mapping and rationalizing every learning task in terms of its relevance, program responsibility, ease of assessment and accountability to the world of work (ascholia), with its “competency” concerns and career-based objectives – all far lesser goods than wisdom. In any Philosophy of Education course that adopts this third way, the challenge for instructors will be to ensure that students be held “accountable” to demonstrating core B. Ed./certification competencies while at the same time, carving out a space for them to engage in the wisdom-seeking practices at the heart of genuine schole. This can be a difficult balancing act. The intimate association between the lost, core meaning of philosophy on the one hand and teaching on the other is not an innovation. Fifteen hundred years after Aristotle wrote about the active and contemplative aspects of the philosophic life in his Nicomachean Ethics, the scholastic philosopher Thomas Aquinas pointed out in his Summa Theologica how similar the authentic teacher’s existence must be to the genuine philosopher’s daily life. Put simply: the active and contemplative lives are not just of concern to the philosopher. In Aquinas’ view, the teacher most especially must partake in both the active and contemplative aspects of loving wisdom! It may sound ludicrous that our most precious task as teachers is not to teach students literacy or numeracy, nor creative, innovative, technologically-savvy decision-making and critical thinking – the very “competencies” we are expected to teach by corporate and government administrators. These may be the “accountabilities” of teaching as a job or profession; but as a way of life they fall short. Our most solemn endeavor ought rather to be to invite our students into the genuine heart of education, which always must concern wisdom’s pursuit. Understanding this is crucial: where the competency movement treats teaching as though it were simply a professional career path or a job in which proper training means the successful demonstration of specially-formulated bundles of job-related “outcomes,” thousands of years of philosophic and intellectual tradition should have taught us otherwise. If we only care to look, we can learn that teaching is not a job like any other. Only to the most careless observer does teaching appear to be simply a job. Properly understood, it is a way of life in which both the active and contemplative components must be practiced daily. Without intimate care and attention to this deep core meaning of teaching, our teacher practice will be empty; all our efforts at educating will be misguided, or at best, of ambiguous value, even having demonstrated all the requisite career competencies. 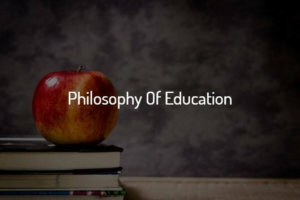 Having gained this most basic of insights that teaching is a way of life, we find the tables entirely turned upon the commonplace dismissal of Philosophy of Education in B. Ed. Programs. Where before it looked like every other sort of “specialized expertise” course in an Education Program was better-suited to educate teachers because of the manner in which each is so carefully tailored to address the core “competencies” of the teaching profession, now we realize that teaching is, first and foremost, a way of life in which adherents must daily practice and develop its active and contemplative components. Consequently, we now realize that philosophy, as this way of life, provides the very best means of education for teachers who would not only pursue the truth about being (the contemplative aspect of teaching), but who would also lovingly entice their neighbors (i.e., their students) towards this self-same pursuit (its active aspect). Our usual manner of educating in B. Ed. Programs is, in light of this ancient insight, quite backwards to what a deeper understanding and appreciation would dictate. The basic curricular challenge in approaching Philosophy of Education within a B. Ed. Program is to ensure that instructors are doing the deep, precious things that promote experimentation with the philosophic spirit while at the same time demonstrating that the design of the course is intelligently connected to cultivating and assessing the core “competencies” demanded for teacher certification. For those of us who are interested in how to cultivate the love of wisdom not only in our own lives as teachers, but also in the lives of our students, a more thorough exposition of my larger Philosophy of Education designs is available through Peter Lang Publishing. It is entitled, Teacher Education and the Pursuit of Wisdom: A Practical Guide for Education Philosophy Courses. In the remainder of this article, however, you will find a brief description of some key ideas, assessment tools, and organizational structures that I have found helpful in tackling the particular problem of planning for Philosophy of Education in a competency-based B. Ed. program. Once you have found a way to situate Philosophy of Education within the over-arching framework of a B. Ed. Program, the next step is to consider how to create “authentic” learning experiences for students that invite them to partake in the spirit of philosophy. The program of work I have developed for B. Ed. courses requires good daily, experimental efforts from students which they must document in open journal format. I recommend journaling over any other form of writing, since journaling is perhaps the most authentic form of writing. According to assessment experts, Newmann, Marks, and Gamoran (1996), authenticity in task design requires three central components: “the construction of knowledge,” “disciplined inquiry,” and “value beyond school.” Philosophy-driven writing in open journal format satisfies all three of these requirements inasmuch as it beckons students not simply to absorb inert facts and information, but to comprehend, apply, analyze, synthesize, and evaluate what they are learning through experimentation with a wide variety of processes and products in which there is no onus towards pre-determined benchmarks for “success”, but only towards openness and receptivity. Moreover, the journal format not only facilitates the so-called “construction of learning”; it also inspires disciplined inquiry, and in particular, deep self-inquiry. The writing that students do for these journal assignments, in my experience, can be full of passion and interest that takes them in all kinds of previously unexplored directions. Reflecting in journals allows students freedom to wonder, to contemplate their experiences and to generate insights. Finally, open journal writing in Philosophy of Education most especially has “value beyond school.” Indeed, many of my B. Ed. students have told me that our courses together had less to do with the nuts-and-bolts of teaching processes, and far more to do with building awareness and resonance with the transformational properties of education. Student work in these Philosophy of Education courses gravitates around the independent as well as cooperative/conversational exploration of foundational Education Philosophy texts. Students read and think about these discourses, of course, but they are especially asked to experiment with or “live” these texts for the duration of the semester, journaling their findings as they proceed. Ordinarily, I supply students with a long, non-exhaustive list of writing topics that may serve as helpful prompts for those who require assistance getting started with their journal writing. This is an important consideration since many students have never before encountered such an open form of writing in a post-secondary setting, and its novelty may cause anxiety for some of them. Hadot’s (1995) insights about philosophy as a way of life show us that it is important to design topic and writing prompts to ensure that students are grappling not only with a variety of “philosophical discourses,” but also that they are experimenting with a number of different “spiritual exercises” related to these discourses, and that they are writing about their encounters with each in turn. Remember: although in a B. Ed. Program, we cannot shirk our responsibility to teach to the acquisition of career competencies for the purpose of professional accreditation and certification, the underlying, authentic purpose of Philosophy of Education is to involve ourselves experimentally and on a daily basis in both the active and contemplative aspects of wisdom-seeking. Being two-fold by nature, philosophic practices are well-suited to help B. Ed. students take up teaching as this self-same, two-fold way of life, involving contemplative, as well as active wisdom-seeking, rather than simply as a job or career choice. Journaling their experimental findings in relation to a broad range of “philosophic discourses” and “spiritual exercises” holds much potential as a deeply reflective and metacognitive activity. Students are constantly assessing themselves in such self-selected tasks. However, it is noteworthy that in the competency movement, the idea that students might assess themselves in regard to their “core competencies” is discredited. As Drisko writes: “Persons of established competency, or measures they create, must assess learner competencies. The learner alone cannot assess competence. Assessment of competence presupposes the evaluator is qualified: possesses the knowledge, values, and skills being examined and has considerable experience in their application. This assumption is common in the academy and in business and industry” (Drisko 2014, p. 420). Likewise, instructor-led assessment practices generally play an important role in Philosophy of Education design. Nevertheless, it seems equally true that self-assessment remains an important aspect not only of learning, but also of developing career competencies. Hence, in my own Philosophy of Education designs, although I am involved in the journal assessment process, student self-assessment is assigned a central role in all their learning tasks. In particular, I use student self-assessment practices to guide me as their instructor. Students themselves direct me towards matters of most interest, experimental episodes most puzzling, enjoyable, or troublesome for them; but these self-assessments are also as a means for students to indicate where they felt their learning to have been most significant or relevant in relation to the different imposed “competency” criteria that underlie all B. Ed. programming. I have adapted this middle/high school cue card self-assessment strategy from the portfolio system developed by Anne Davies and associates (2000). As a part of my Philosophy of Education course designs, in addition to daily philosophic experimentation and journaling, student-teachers are asked periodically to review their journal writing entries, and to select representative contributions for each cue card item. They will then photocopy the pertinent cue card from the course syllabus; having responded briefly to each cue card prompt, they next cut out and affix these cards within their own hard-copy journals. Figure 1 above only showcases a small few of the rich self-assessments associated with the open, experimental journal format; in actual fact, a much broader range of different assessment criteria is included among many more cue cards for students to consider. By handing over some power or authority to my students, and by drawing them into decision-making around the formative and summative assessment of their knowledge, skills, and attributes (KSAs) as teachers-in-training, I find that they are more readily weaned away from educationally-debilitating fixations upon marks, and from supposing there is only one way to think about or to evaluate what they have done in school: namely, the grade. Indeed, one of the great virtues of Davies’ portfolio cue card system (as I have adapted it here to philosophic journal writing) is that it bids students to leave behind such grading fixations, in part by showing them how there are so many more rich, thoughtful ways of evaluating and assessing their work than a reductionistic concern with outcomes and marks. Moreover, by reducing student-teacher concerns with such ego-centered, petty things, Davies’ approach can be harnessed to help student-teachers enter into the experimental spirit of philosophy and of teaching as a way of life; putting aside lesser goods in pursuit of the Summum Bonum, they are better enabled to seek the truth about being itself (the contemplative aspect of teaching), and likewise to entice others towards this self-same pursuit of the truth about what is (the active aspect of teaching). Two caveats need to be considered when applying Davies’ system within a formal B. Ed. Program. First, let me re-iterate that many of the self-assessment cue cards I have incorporated into my Philosophy of Education course designs are taken directly from Davies’ widely-accepted work. However, it is important to note that Davies’ junior/senior high school self-assessment system fails to address either the official list of KSA outcomes associated with requirements for teacher certification skills, or the “core competencies” that must underlie B. Ed. programming. Therefore, in addition to using Davies’ self-assessment criteria, I have opted to include other cards that focus particularly on the “Ten Competencies” of the B. Ed. Program in the university where I have most recently been employed (see the sample cards in left hand column of Figure 1 above). Obviously, other B. Ed. Programs might have quite different lists of such competencies, based upon government-mandated benchmarks related to the acquisition of KSA’s deemed essential to competent teaching practices in different jurisdictions. Philosophy of Education instructors will need to tweak these “competency” cue cards in order to suit local expectations for Teacher Certification. Great care has been taken in the design and delivery of this third way of bringing the study of the Philosophy of Education to preservice students, so that they will be exposed to good, authentic tasks for experimentation with the pursuit of wisdom, and in order that they might likewise be enticed towards practicing teaching not simply as their chosen career, but as a way of life. The essential challenge of any Philosophy of Education course that adopts this third approach is that, although in its instructional design it must always pay careful homage to the mandated, hegemonic demands for demonstration of career “competencies”, in its heart-of-hearts, it always teaches past these petty things. Good education – even in a professional Teacher Training Program – should always in some fashion follow Christ’s command to “Render therefore unto Caesar the things which be Caesar’s, and unto God the things which be God’s” (Luke 20:25). In a very real sense, any genuine learning about teaching as a way of life in pursuit of wisdom happens in spite of the ordinary focus in B. Ed. Programs on core competencies, and not because of their successful achievement and demonstration. Nonetheless, the cultivation of these higher philosophical concerns about wisdom within a B. Ed. program is not wholly out of place. To use a crude allegory, just as the Buddhist monk comes to understand the Middle Way through practicing emptiness in his daily chores of hauling wood, washing floors, and fetching water, so too might the student-teacher learn the teacher’s way of life by performing his or her “teacherly” duties in the proper spirit. This matter of spirit is key. No amount of competency demonstration is worth much at all unless attention to the two-fold spirit of the teacher lies somewhere at its foundation. While teaching as a way of life is a core value as described here, it awkwardly problematizes all striving towards assessments which we seek to employ in this third way of approaching Philosophy of Education. Aquinas, S. T. (1966). Summa Theologica. Vol. 46. Translation Jordan Aumann. London: Blackfriars. Aquinas, (2a2ae.179-182). Baughman, J. A., Brumm, T. J., & Mickelson, S. K. (2012). Student professional development: Competency-based learning and assessment. Journal of Technology Studies, 38(2), 115−127. Bransford, J., Brown, A. L., & Cocking, R. R. (2000). How people learn: Brain, mind, experience, and school. Washington, DC: National Academic Press. Burgoyne, J. G. (1993). The competence movement: Issues, stakeholders and prospects. Personnel Review, 22(6), 6–13. Drisko, J. W. (2014). Competencies and their assessment. Journal of Social Work Education, 50, 414−426. Gardner, S. K. (2009). Student development theory: A primer. ASHE Higher Education Report, 34(6), 15−28. Government of Alberta. (1997). Teaching Quality Standard Applicable to the Provision of Basic Education in Alberta. Ministerial Order #016/97. Government of Alberta. (2016). Department of Education Draft Teaching Quality Standard. Teaching and Leadership Excellence: Alberta Education. Gregory, K., Cameron, C., & Davies, A. (2000). Self-assessment and goal-setting. Courtenay: Building Connections Publishing. Hadot, P. (1995). Philosophy as a way of life. Ed. Arnold I. Davidson, trans. Michael Chase. Oxford: Blackwell Publishing. Hadot, P. (2002). What is ancient philosophy? Trans. Michael Chase. London: Harvard University Press. Hoffmann, T. (1999). The meanings of competency. Journal of European Industrial Training, 23(6), 275−285. Kingsley, P. (1995). Ancient philosophy, mystery, and magic: Empedocles and pythagorean tradition. Oxford: Clarendon Press. Kingsley, P. (1999). In the dark places of wisdom. Point Reyes: The Golden Sufi Centre. Kingsley, P. (2003). Reality. Point Reyes: The Golden Sufi Centre. Newmann, F. M., Marks, H. M., & Gamoran, A. (1996). Authentic pedagogy and student performance. American Journal of Education, 104(4), 280−312. Pieper, J. (2004). For the love of wisdom: Essays on the nature of philosophy. Ed. Berthold Wald, trans. Roger Wasserman. San Francisco: Ignatius Press. Pieper, J. (1992). In defense of philosophy. Trans. Lothar Krauth. San Francisco, Ignatius Press. Pieper, J. (1998). Happiness and contemplation. Trans. Richard and Clara Winston. South Bend: St. Augustine’s Press. Steel, Sean. (2018). Teacher Education and the Pursuit of Wisdom: A Practical Guide for Education Philosophy Courses. New York, Peter Lang. Uzdavinys, A. (2004). The Golden Chain: An Anthology of Pythagorean and Platonic Philosophy. Bloomington: World Wisdom. Uzdavinys, A. (2008). Philosophy as a rite of rebirth: From ancient Egypt to Neoplatonism. Westbury: The Prometheus Trust. Uzdavinys, A. (2011). Orpheus and the roots of Neoplatonism. London: The Matheson Trust. Woodruffe, C. (1993). What is meant by a competency? Leadership & Organization Development Journal, 14(1), 29–36.